Sharon Wilson Géno was named executive vice president, national services and chief operating officer, effective Sept. 11, 2017. In her new role, Wilson Géno is responsible for the overall strategy and operations of Volunteers of America National Services. National Services owns and operates more than 30 senior living and care communities throughout the United States, as well as several hundred affordable senior, multi-family and special needs housing, and other real estate projects. Part of her role will include working with the National Services board and collaborating with other leaders inside and outside the organization. Wilson Géno joined Volunteers of America in 2015 as senior vice president, legal affairs. As senior corporate counsel, she provided advice and counsel to the national organization and its 32 affiliates on a wide variety of legal matters, including housing operations and development issues. She is also a key member of the enterprise risk management committee and staffs several board committees. Wilson Géno’s 25-year career has been dedicated to advising nonprofit, for-profit and governmental clients across the country on affordable housing and community development issues in a variety of contexts. 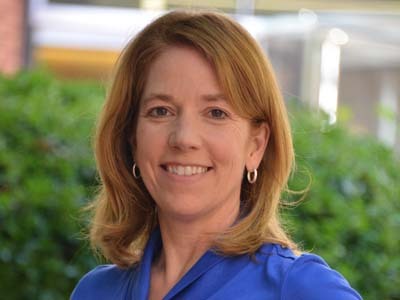 In addition to her strong housing law background, she has experience working with other nonprofits and building teams of people from her previous leadership position as a partner at the law firm Ballard Spahr, LLP. Her work has given her substantive experience in laws and regulations governing U.S. Department of Housing and Urban Development programs such as HOPE VI, public housing, Housing Choice Voucher (Section 8), the Community Development Block Grant, the HOME program and the Rental Assistance Demonstration Program. She has also worked in various tax incentive programs, including the Low Income Housing Tax Credit, New Markets Tax Credit and tax increment financing. Her experience includes work on legislation and advocacy efforts related to affordable housing programs on both the local and national levels. A Washington, D.C. resident, Wilson Géno has a Juris Doctorate from Georgetown University Law Center, a Master of Arts in urban affairs from St. Louis University and a Bachelor of Arts in American studies from Tulane University. She currently serves as an adjunct professor with Georgetown University School of Continuing Studies, where she teaches urban and regional planning. In addition, she is an adjunct professor at The George Washington University Law School, where she teaches housing law and policy.